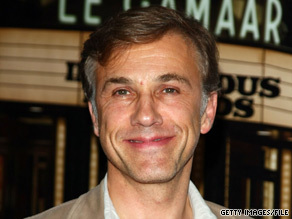 Brad Pitt gets top billing in Quentin Tarantino’s "Inglourious Basterds," but Austrian actor Christoph Waltz may have turned in the most memorable performance as a Nazi "Jew Hunter." “It was pure Tarantino to me in that it blended so many different elements perfectly, of tension and comedy, dialogue and excitement,” actor B.J. Novak said of the scene. Waltz’s character uses three languages in his encounter with a French dairy farmer who was hiding a Jewish family under his farmhouse floor. “The feature that makes me such an effective hunter of the Jews is, as opposed to most German soldiers, I can think like a Jew, where they can only think like a German or, more precisely, a German soldier,” Landa tells the farmer. Landa’s motivation is more complex than the typical Nazi depicted in a past movies. A literature scholar could build a career around studying the character, Waltz said. “Landa is one of the great villains in dramatic literature from the very beginning, for specific reasons, and it’s a real job to find out the reasons,” he said. “You sit there and you study and you study.” The role provided him “ample opportunity to show other sides,” Waltz said. “That’s the fantastic thing with Landa, is it’s so multifaceted and layered.” But Waltz said he will be careful about repeating a similar role. “This is the best villain there is, and now it has to be significantly different for me to consider,” he said. His three-decades-long acting résumé shows the diversity of his talent. His 1996 portrayal of Roy Black, one of Germany’s most beloved pop stars, earned him one of Germany’s highest acting honors. Waltz, now with a Hollywood agent, hints that scripts are coming his way because of the “Inglourious Basterds” exposure. One disadvantage of playing the villain in a Tarantino film is that the director insisted that Waltz not pal around with cast mates while away from the set. “It might be a good idea not to establish this buddy-buddy situation, to keep everybody on their toes a little bit,” he said. “That awkward distance that they kept from me made it easier.” Pitt, however, did approach him early in the filming, he said. “The fact that he is one of the biggest stars didn’t come into that equation after he eliminated it,” Waltz said. “He approached me literally with open arms, and that was that.” “Inglourious Basterds”– rated R — hits theaters Friday, August 21. Have Tarantino and his ‘Inglourious Basterds’ got what it takes?